Time Zone : Canada uses 6 time zones. From east to west they are Newfoundland Time Zone, Atlantic Time Zone, Eastern Time, Central Time Zone, Mountain Time Zone, and the Pacific Time Zone. Additional Info: Made up of 10 distinct provinces and three unique territories, Canada offers a broad range of cultural and geographical features. Canada is a federation composed of ten provinces and three territories. Western Canada consists of British Columbia and three Prairie provinces (Alberta, Saskatchewan, Manitoba). Eastern Canada consists of Central Canada (Quebec and Ontario) and Atlantic Canada (comprised of the three Maritime Provinces of New Brunswick, Prince Edward Island, and Nova Scotia; and Newfoundland and Labrador). Three territories (Yukon, Northwest Territories, and Nunavut) comprise Northern Canada. Provinces have a large degree of autonomy from the federal government, territories somewhat less. Each has its own provincial or territorial symbols. So where do you start if you want to go fishing in Canada? Canada is an incredible location for all sports outdoors and fishing is about top of the list - Canada is renowned for its Walleye, Northern Pike, Lake Trout, Arctic Char, Salmon and many others. Remote water systems in Canada provide some of the best fishing opportunities on the planet. 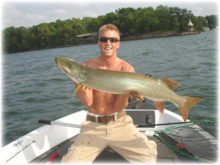 The Muskie and Northern Pike are perhaps the two most aggressive freshwater fish in Canada. They wait under structures and in standing weed beds waiting to assault unsuspecting prey as it swims by. These ambushes frequently result in a violent strike and a strong-willed fight you had better be ready for. Each year pike well over 30 pounds and muskie over 40 pounds are caught on freshwater fishing trips in Canada. And of course, the scenery is not bad either! As Canada is so vast, detailed below are just some of the many, many wonderful places to visit and fish, from each region. British Columbia offers some of the most remarkable trout and Salmon fishing found anywhere. Fly anglers from all over the world come to this province hoping to land that river bound lunker. There are slow and fast moving waters throughout the province with an abundance of fish. This province will certainly test your fishing skills. Rivers like the Cowichan, Stamp and Somass, Qualicum and Campbell are undeniably great fisheries. But for one who seeks the river less fished and the logging road less traveled, who seeks serenity, beauty, and solitude, while enjoying great fishing all year round, then seek out the humble Nitinat; it is well worth the experience. The Nitinat River begins in the Alberni watershed and flows nearly 37 miles to Nitinat Lake, a tidal salt water fjord, 14 miles long, that empties into the Pacific Ocean through the infamous Nitinat gap. The fishing is generally good and often it is spectacular. Ontario and Quebec offer outstanding freshwater fishing. Ontario alone has over 200,000 lakes, and is home to more types of fish than anywhere else in the country - from pike to salmon to walleye and muskie. Ontario means "shining water" in the Iroquois language - most agree, the name says it all. Ontario has 144 species of fish. If you are an angler that likes diversity, Ontario is a great place to head. Most often fishermen head to the northeastern part of Ontario, where there is an abundance of great fishing locations and an amazing range of geographical diversity. An area that can be often overlooked, however, is Eastern Ontario. This region is home to many canals, rivers and beautiful lakes of a variety of sizes. Anglers in this region find hundreds of beautiful water bodies, including the Rideau Canal waterway and the lakes of Frontenac Provincial Park. All water systems in Eastern Ontario have simple road access making this one of the easiest regions to fish. There is an abundance of fish to be caught in Eastern Ontario. Monster pike and muskie are pulled out of this region every year along with lunker walleye and feisty bass. In the north, the fishing is unparalleled on the continent. You will experience not only big fish, but aggressive fish. The fast moving waters, deep lakes and amazing rock structures provide the perfect setting for this outdoor experience. Fishing in the remote lakes of Canada's Yukon Territory, the awesome wilderness, remains one of the great adventures in the last frontier. With the right guides, you can find picturesque lakes, cold and clear, with excellent fishing all summer with the peak months being June and July. Most anglers catch at least one fish over 20 pounds. Some lakes have produced lake trout up to 50 pounds and Northern Pike up to 45 pounds. This loop is ideal for those who prefer long, uninterrupted stretches of paddling, with only an occasional portage for leg-stretching. You paddle from the northeast corner of Beaverhouse Lake and then portage east, first to an unnamed lake and then to Cirrus Lake. With nearly half of the route's portages behind you, paddle to the east end of Cirrus for a view of scenic Sue Falls. Steer south to the longest and most difficult portage of the trip. 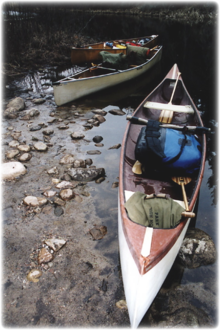 Upon reaching Kasakokwog Lake, plot a westerly course down McAlpine Creek to another enormous lake, Quetico Lake. Paddling close to the north shore of Quetico Lake, don't miss ancient rock paintings (pictographs) on the sheer granite cliffs. From the west end of Quetico Lake, the Quetico River carries you back to Beaverhouse Lake. Though the Dawson Trail Campground area is possibly the busiest site in the park, the wilderness area just south of it is among the least busy. 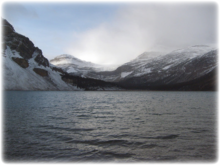 This route is recommended for experienced and fit paddlers, however, for the two Cache Lake portages are long and wet. If you prefer river travel, you can avoid one of the portages by heading down the Cache River to Kawnipi Lake. If you prefer lake travel, continue south to McKenzie Lake and then west to Kawnipi. From there make your way north via Montgomery, Shelly, and Alice lakes, then over the Bonhomme and Sauvage Portages into Fern Lake. From there, only Beg and Bisk lakes separate you from Pickerel Lake. Head east to end your trip on French Lake. McAree Lake is the most convenient of the four entry points accessible from Lac la Croix. From here, it is only three miles to Quetico's interior. Beyond is some of the most beautiful scenery in the entire Quetico Superior region. Argo and Crooked lakes, Curtain Falls, the Siobhan and Darky rivers and the pictographs of Darky Lake are among the not-too-distant attractions. McAree and Minn lakes are among the 10 lakes in Quetico where native people of the Lac la Croix Guides Association are permitted to use motors no bigger than 10 horsepower. East of these two lakes, however, the only buzzing will be that of the hummingbirds. » Fraser River, British Columbia. The Fraser River is the longest river in British Columbia, Canada, rising near Mount Robson in the Rocky Mountains and flowing for 870 mi, into the Pacific Ocean at the city of Vancouver. Fraser River rafting trips feature big waves and warm water and a desert-like climate. The rafting portion of river is 11 miles long, lasting 3-4 hrs, and the best time to go is June to mid September. » Magpie River, Quebec. The Magpie River is a river in the Cote-Nord region of Quebec which flows from the Labrador Plateau to empty into the north shore of the Saint Lawrence River east of Sept-Iles, Quebec. The river is 124 miles in length. It flows untouched through hundreds of miles of lake dotted virgin forests of pine and multicolored moss, hurling down steep granite gorges and off spectacular falls before emptying into the St. Lawrence River. Rafting ranges from class IV to V, with great scenery and potential to see beats, moose and wolves! » Stikine River, British Columbia. The Stikine River is a river, approximately 335 miles long, in northwestern British Columbia in Canada and southeastern Alaska in the United States. » Elaho and Squamish Rivers, B.C. Not really whitewater rafting but breathtaking scenery. With glacier-capped peaks over 10,000 feet standing guard, and average summer flows of 180,000 cfs, it is one of only five rivers that wind their way through the Coast Mountains between Canada and the US. Marvel at the grandeur of the valley it has carved on its journey to the coast. » Toby Creek, British Columbia. A classic mountain river, Toby Creek is born from high alpine glaciers capping the Purcell's. It carves a turquoise ribbon through mountain wilderness and steep canyons. This classic whitewater adventure offers thrills and excitement throughout the twists and turns of the Class I - III river section. Canada is a mass network of hiking trails - a fantastic place that offers constant discovery. Some of the more major trails are detailed below; however, they are but a teeny tiny fraction of the plethora of hiking options available in this beautiful country. The East Coast Trail is a 336 mile-long hiking trail located in the Canadian province of Newfoundland and Labrador. The trail traces the east coast of the island of Newfoundland along the Atlantic Ocean. The trail passes through many small coastal towns nested in the bays of the Avalon Peninsula between St. John's and Cappahayden. Major attractions include the Spout, a natural geyser created by wave action along the rocky coast, coastal barachois formations, and a suspension bridge near the abandoned community of La Manche. The trail also passes through Cape Spear, the eastern-most point in Canada. There are many access points to the East Coast Trail (trail heads). This is where you can start or quit your hike and this is where we drop you off or pick you up once you have finished your hike. This makes hiking accessible to experienced hikers or leisure hikers. With the help of maps you can pick the trails you feel comfortable walking on or you can do the whole hike from beginning to end. Banff National Park is Canada's oldest national park, established in 1885, in the Canadian Rockies. Banff National Park is located on Alberta's western border with British Columbia. Banff is about an hour and half driving distance from Calgary, and four hours from Edmonton. Jasper National Park is located to the north. Lake Louise, a small village located 32 miles west of the Banff town site, is home to the landmark Chateau Lake Louise at the edge of Lake Louise. 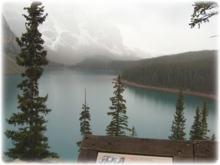 Located 9.3 mi from Lake Louise, Moraine Lake provides a scenic vista of the Valley of the Ten Peaks. 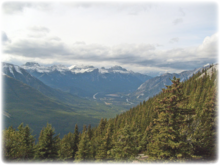 Parks Canada requires those using backcountry campgrounds, Alpine Club of Canada huts, or other backcountry facilities to purchase a wilderness pass. Reservations for using the campgrounds are also required. There are many day hikes in this area. Gros Morne National Park is a world heritage site located on the west coast of Newfoundland. At 697 sq. miles, it is the second largest national park in Atlantic Canada. It takes its name from Newfoundland's second-highest mountain peak (at 2,644 feet (806 m)) located within the park. 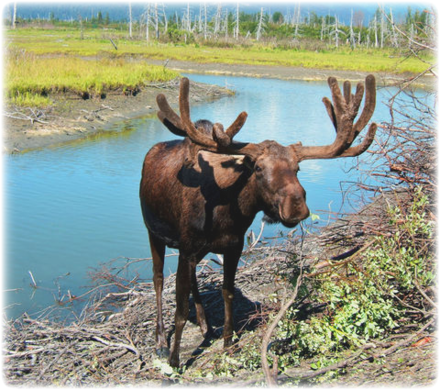 Wildlife in the park includes lynx, black bear, caribou, arctic hare, marten and a booming population of introduced moose. The coastal region supports whales and sea ducks including the Harlequin Duck. Perce Rock is one of the largest and most spectacular natural arches in the world. It rises sheer from the Gulf of St. Lawrence just off the tip of the Gaspe Peninsula in Quebec near the village of Perce. It is a massive limestone stack 1420ft long, 296ft wide and 289ft at its highest point. The rock gets its name from a large 50 ft high arch near its seaward end. It's a great end destination for a day hike in Quebec. In addition, Canada is in the process of constructing two coast-to-coast recreation trails: the Trans-Canada Trail and the National Hiking Trail. Several other long-distance hiking trails are either already existing or are under development. The Trans Canada Trail is a proposed 11,233-mile-long trail. The main section runs along the southern areas of Canada connecting most of Canada's major cities and most populous areas. There is also a long northern arm which runs through Alberta to Edmonton and then up through northern British Columbia to the Yukon. 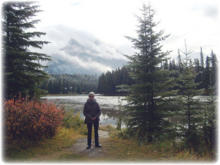 My mother recently returned from a tour of Western Canada and provided us with some beautiful photos from her trip as well as notes on where she went. For a 10 day trip, she said this couldn't be beat! Fly into Calgary and head out to Banff, Alberta. It is the largest town in the Banff National Park, located in Alberta's Rockies. At 4,800ft, it is the town with the highest elevation in Canada, situated above Bow Falls near the junction of the Bow and Spray Rivers. Banff is located 126km (78 miles) west of Calgary and 58km (36 miles) east of Lake Louise, on the Trans-Canada Highway (remember its all kilometers here). The resort town is a very popular tourist destination and is known for its mountainous surroundings and hot springs. It is a major destination for outdoor sports and features extensive hiking, biking, scrambling and skiing areas within the region. 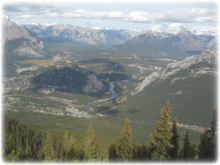 For beautiful views of Banff, take the Sulphur Mountain Gondola and snap away! An extra day in Banff allows you the opportunity to enjoy the hot springs, which is lovely! 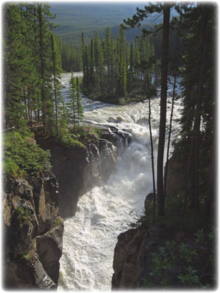 Check out the Sunwapta Falls, a waterfall of the Sunwapta River located in Jasper National Park. 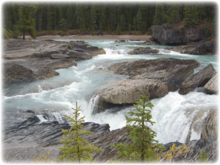 The water originates from the Athabasca Glacier, and volumes are higher in early summer, caused by glacial meltdown. 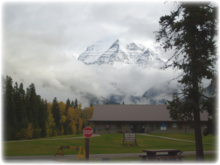 Spend a full day in the Lake Louise area. If weather permits, ride up the Mountain in a Gondola or chairlift. Assuming the snow isn't too heavy when you visit, be sure to check out the Icefields Parkway: The Columbia Icefield is located on the boundary of Banff and Jasper National Parks. One of the largest accumulations of ice and snow south of the Arctic Circle, it covers an area of nearly 325 sq. km (125 sq. miles). The continuous accumulation of snow feeds eight major glaciers including the Athabasca, Dome, and Stutfield Glaciers, all visible from the Icefields Parkway. Take a snow-coach trip and explore the area. Take time for at least one full day in the Jasper National Park - it is a very different environment from Banff and worth the time. The town is tiny but the valley is very spread out so there are many different hiking and walking trails available. There are many animals you can see here while you travel up to the Maligne River. Try the boat ride to Spirit Island. 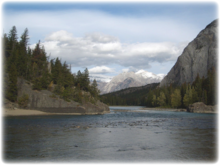 Next, head to the Athabasca River, which originates from the Columbia Glacier of the Columbia Icefield in Jasper National Park. 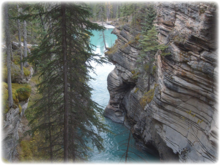 The impressive and scenic Athabasca Falls is located upstream about 30 km (19 mi) from the Jasper townsite. You can take all kinds of rafting and boat trips along the river for a beautiful day - even in the rain! A great stop on your way to Vancouver is Kamloops in the Thompson Valley, where you might just see a brown bear on the trails. In this area, stop at the town of Hope, a gold rush town, where the dominating feature is the Fraser River. The segment from Lytton to Hope passes through the Coast Mountains and contains the famous Fraser Canyon. At Hope, the river enters a broad flood path extending 130 km to the coast and Vancouver. Also, the movie Rambo: First Blood starring Sylvester Stallone was filmed entirely in and around Hope. End your tour of this area in Vancouver, located between the Strait of Georgia and the Coast Mountains. A city tour is a great way to get familiar with the city. A great spot to spend some time is Stanley Park, a 1,000 acre urban park bordering downtown Vancouver - the largest city-owned park in Canada and the third largest in North America. The totem poles are one of the largest tourist draws in the province. The North Shore Mountains are a range of mountains overlooking the Greater Vancouver Regional District. These peaks are visible from most areas in Vancouver and form a distinctive backdrop for the city. The North Shore offers a great day out, especially the cable car up Grouse Mountain. If you have another spare day, try a visit to Vancouver Island and the capital Victoria.